Multi-window: Android N finally adds support for split-screen multitasking ("multi-window"), which OK very cool, but! The new multi-window API also allows for picture-in-picture video, which I think is way more exciting. Persistent mini-YouTube window anywhere in the OS? Yes please. But it's not clear if that's for all devices or only Android TV - Google cites TV as an example. Direct reply notifications: You know the handy direct reply features of Hangouts and Messenger in the notification bar? There's now a whole API so any app can add a standardized direct reply feature. This is potentially huge - we'll have to see how developers take advantage of it. Bundled notification handling: Ever get tired of Gmail or Hangouts eventually just giving you an "X new notifications" or a bulk list of items when things stack up that you have to basically address by going into the app? Android N introduces bundled notifications - notifications that contain multiple items can be expanded to show all items in the list, allowing you to take actions on each item (for example, deleting 3 emails in a list of 10) individually, instead of having to act on them as a group or go into the app itself. Together with direct reply, Android's notification bar is about to get a hell of a lot more powerful. Improved Doze mode: Google hasn't specified how exactly (yet), but Doze mode is getting even better at sipping power when your phone's display is turned off. Details on how much less power will be consumed on average weren't provided, as I'm guessing Google is still fine-tuning Doze's new improvements. Hopefully we'll know more when N leaves the preview stage. Java 8: Android now supports Java 8 language features through the Jack compiler we detailed over a year ago. $150 off Pixel C for developers: As a way to encourage developers to test out N on tablets, Google is offering $150 off the Pixel C for devs here. 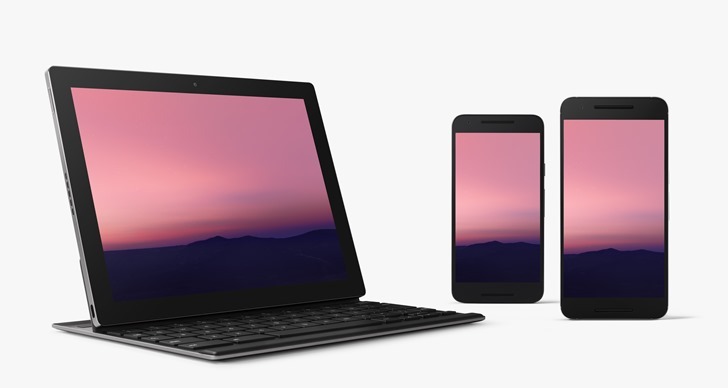 A "final" N release will happen this summer: Hiroshi Lockheimer says Android N will be shipping in "final release" form to device makers "this summer." That means OTAs for existing devices could come any time between June 21st and September 21st - but I suspect we'll learn more about that at Google I/O. At least, hopefully. Those are just the basics - there's a lot of information we're still unpacking here, and you can expect feature spotlights, individual news posts, and a whole lot more throughout the day and over the next week as we tear through the N preview like a news team possessed. There will definitely be more features, tweaks, and changes we'll uncover, so don't consider the list above complete by any means. You can find the official N blog post from Dave Burke here, and Hiroshi Lockheimer's announcement on Medium here.